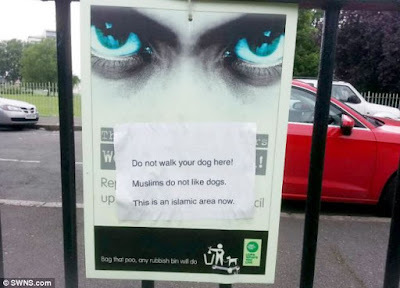 It's well-known that Muslims don't like dogs; a picture below taken in London a year or so back confirms that. Perhaps that's because dogs are more intelligent and civilized than they are? I hope that sign got taken down quickly. Britain has rules like here to protect all animals and if you get caught hurting any then you take the punishment. 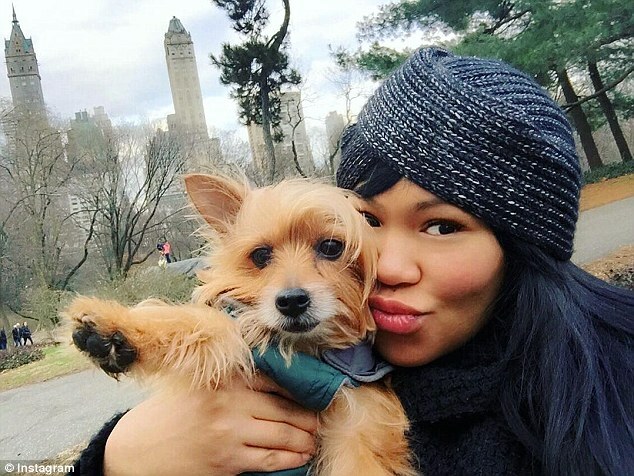 How vile to not love dogs. Dogs are family and as you say,far more intelligent ,they only attack if trained and only want love...something many humans don't subscribe too. The local MP complained to the local council about it, we don't know what the outcome was. The presence or absence of signs like this won't affect the bad attitude of Muslims towards those who don't subscribe to their ideology. This is a problem that needs to be dealt with in the way Donald Trump proposes. True. Dog's are mans best friend, very sad that this is happening-or being allowed to happen. Almost every home in NZ has a pet , their so called 'culture'towards dogs would soon take on strong resistance here.